Description A beautiful rounded dining chair with a steel structure, padded with high density crush proof rubber and covered in a choice of leather or ecoleather (see sample links below for all colour options). 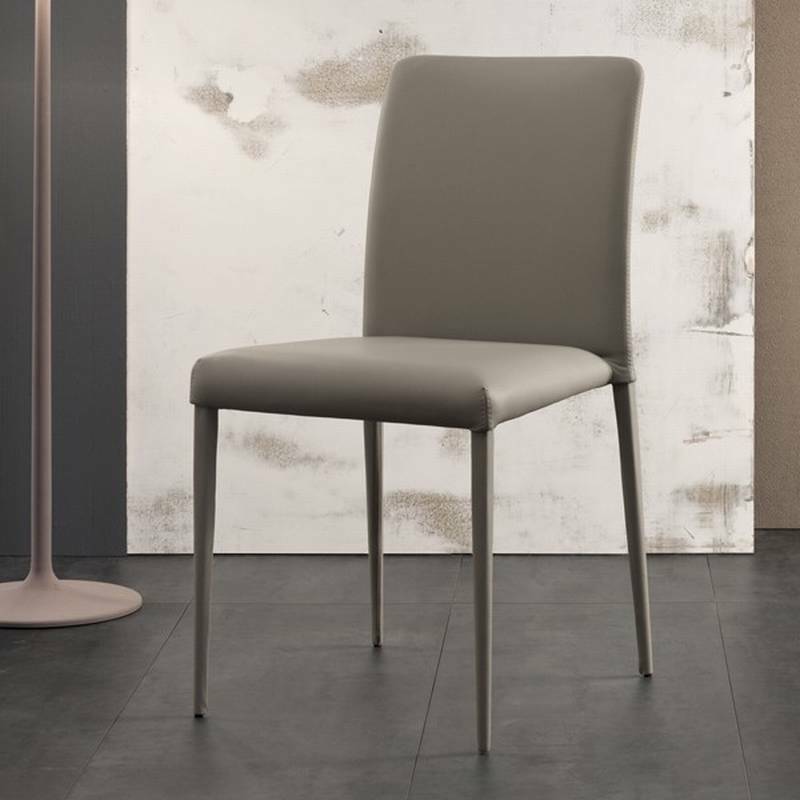 The steel legs are elegantly tapered and available with a matt white or matt grey finish, or covered with leather/ecoleather to match the seat. 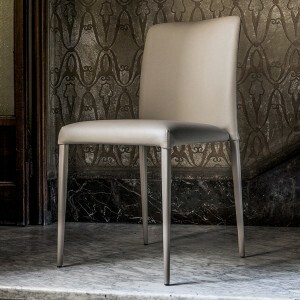 The new Deli chair from Bonaldo has a simple elegant design that allows the pure form of the shape to shine through. Padded with Bonaldo’s new crush proof rubber for comfort and durability and covered in ecoleather or leather in various colors. The legs can also be covered with leather/ecoleather or matt lacquered in white or grey.